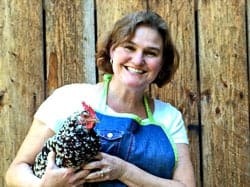 Spring is rhubarb season and I tend to make a lot of recipes using rhubarb. 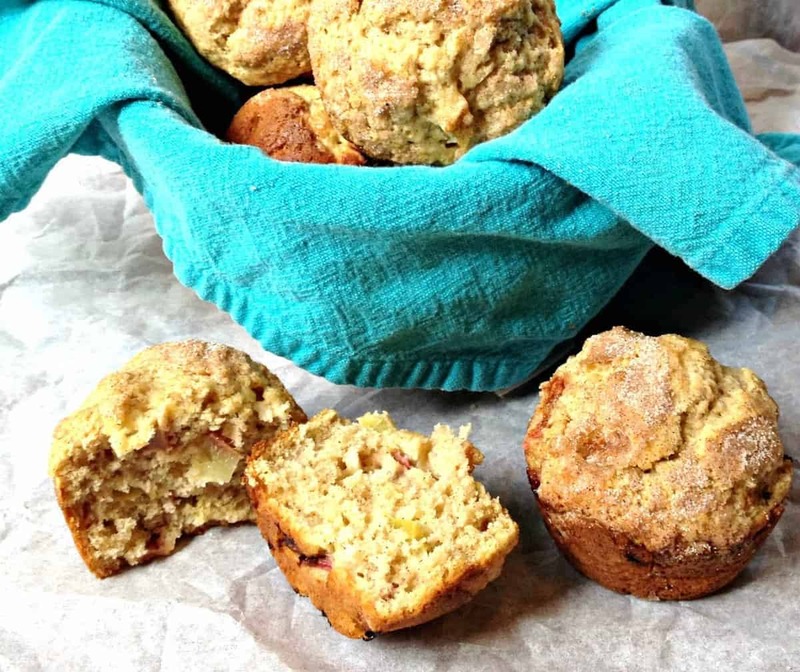 These rhubarb muffins are a family favorite. 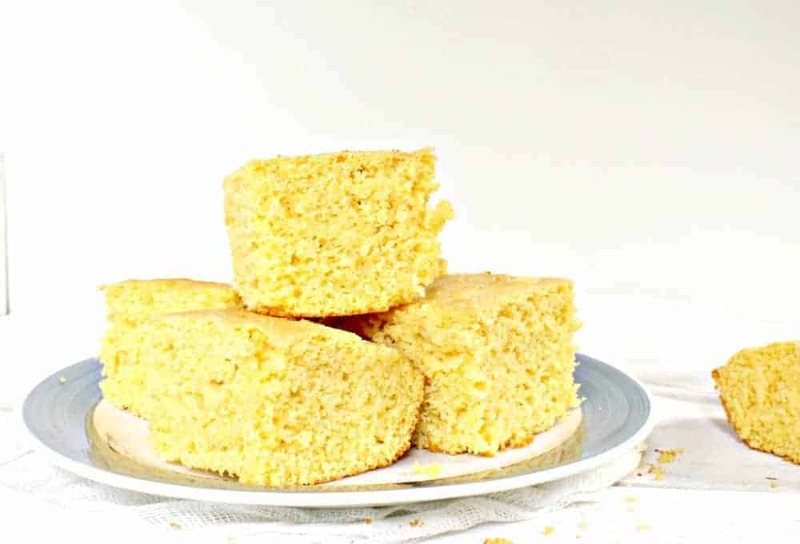 Even one of my nieces declared these were the best muffins ever! I of course thought she meant that I was the best aunt ever!!! I think she was just referring to the muffins though. I’ll have to keep serving her these muffins until she really thinks I am the best aunt…not that I’m competitive or anything! I do make a lot of rhubarb dishes this time of year. But I also freeze a lot of rhubarb so we can use it during the dark days of winter. To freeze, simply cut the stalks off the plant. Remove the leaves. Wash the stalks with water and let dry. Then I cut into 1 inch pieces and throw them into a freezer bag and right into the freezer. You could pre-measure the amount you would need for recipes in smaller bags instead of one big bag, but I find the pieces aren’t frozen solid in one big mass and I can crumble the chunks and just take out what I need. It saves me a step by just throwing them into one big bag and using just a small amount hasn’t been an issue for me. 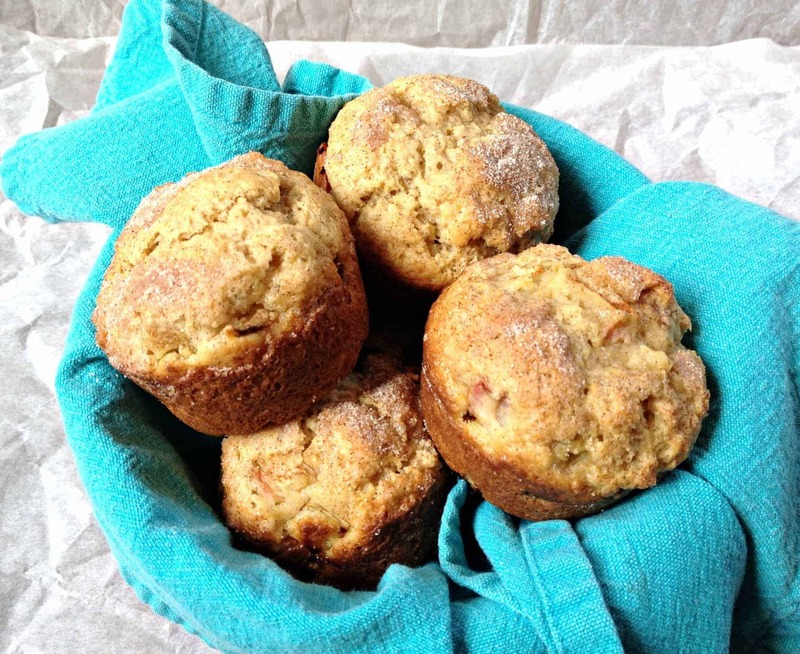 For these rhubarb muffins you do want a smaller cut of rhubarb; 1/4 to 1/2 inch dice. If I am using frozen rhubarb that I’ve prepped too large, I let the rhubarb thaw slightly and give it an additional chop. Otherwise the rhubarb can be added frozen directly to the batter and then baked. 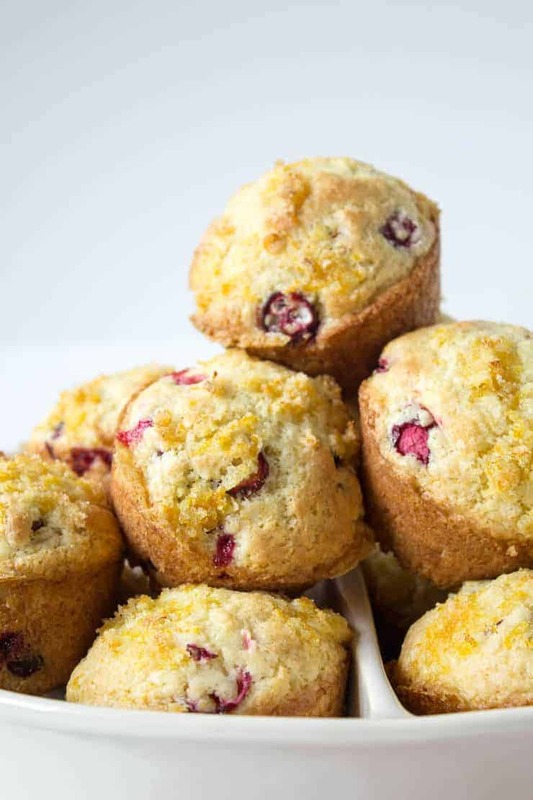 Some of our other favorite muffins include Oatmeal Banana Muffins, Blueberry Muffins and Raspberry Lemon Muffins. If you are looking for other great rhubarb recipes try this Rhubarb Crisp, or this Rhubarb Sauce. A Strawberry Rhubarb Upside Cake is another great one! In a separate bowl mix sour cream, melted butter, eggs and vanilla until smooth. Lightly add sour cream mixture into the dry ingredients. Stir until incorporated. Divide into muffin cups sprayed or lined with paper liners. Mix topping and sprinkle over tops of muffin batter. Bake in a preheated 400 degree oven for 18-22 minutes. Rhubarb should be cut into small pieces; 1/4 to 1/2 inch. Great idea. 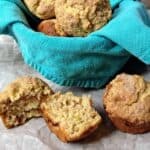 I really like rhubarb and in muffins, wow. I have been wanting to try rhubarb. This looks like the perfect recipe to try. Thank you. Thanks, Deb. I hope you do give them a try! I love muffins! These look wonderful! 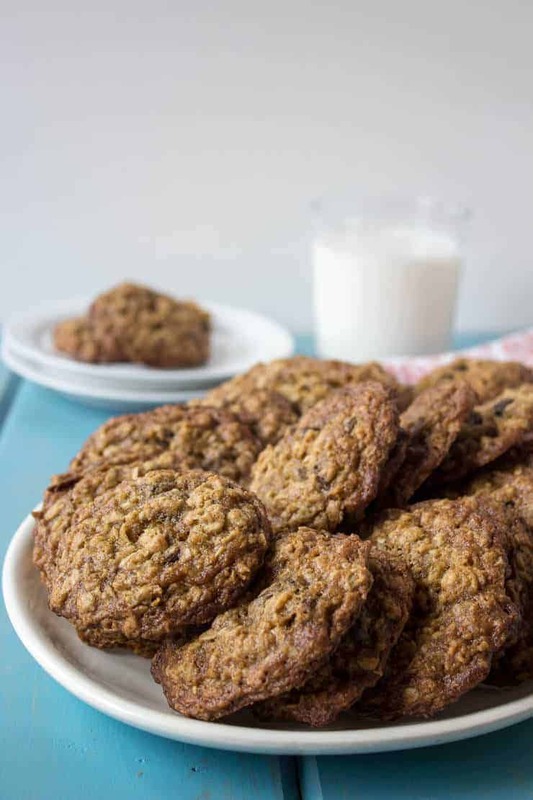 Ooh, I like the idea of putting sour cream in this recipe- must make the muffins nice and gooey! 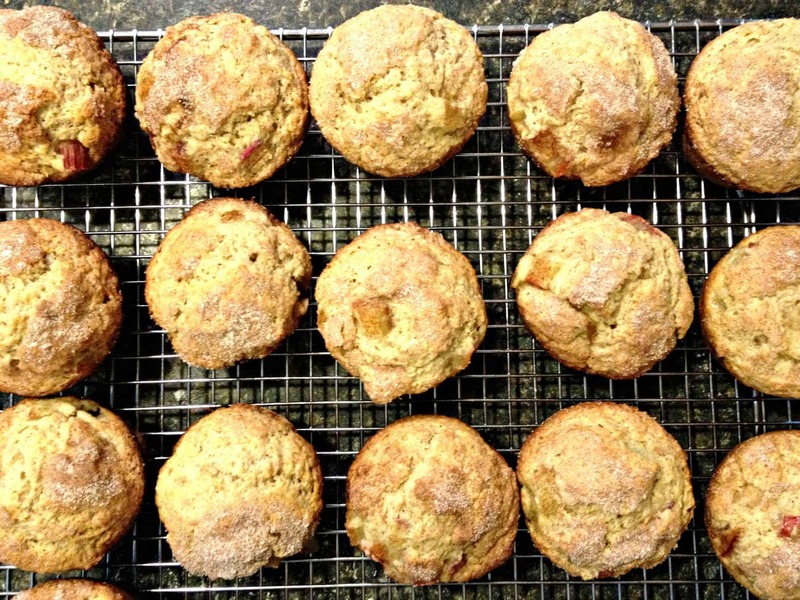 The sour cream definitely helps keep the muffins moist…not really gooey. These muffins must be so moist and tangy. I can only imagine how yummy they are. No wonder your nieces think they are the best. I like rhubarb so much. And with all the planting we’ve done, we are not growing rhubarb. I need to fix that. Do you think if I substitute rhubarb with Jonathan apples or strawberries the muffins would turn out fine? Thank you for the recipe. This is such a novel idea for me. 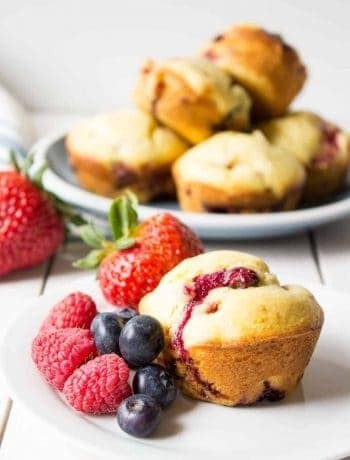 I often substitute different fruits in muffins without any problems. The apples will work perfectly. I don’t know about the strawberries. 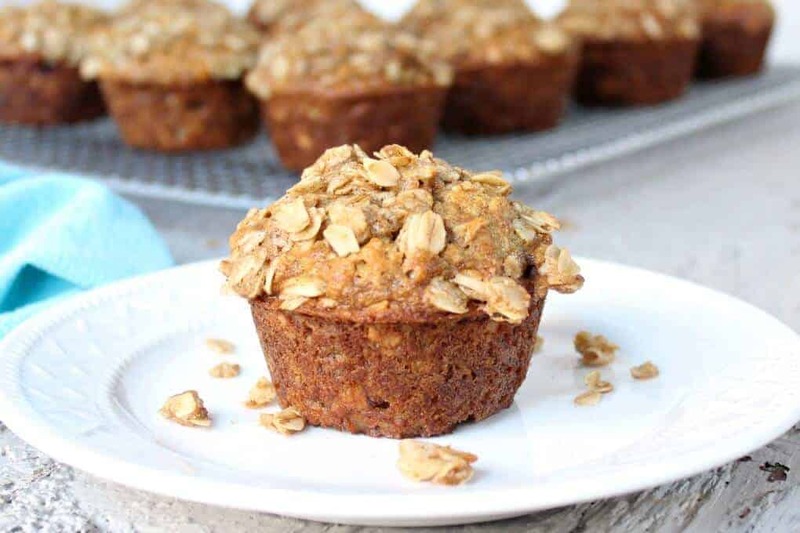 It’s one fruit I’ve never tried in a muffin! It would be worth experimenting and seeing how they turn out. I have printed this recipe and hope to make it soon!! Thanks for sharing and have a fabulous weekend. Thanks Lori! Let me know how they turn out. Happy Mother’s Day!